Photo: Wee Haven, ca. 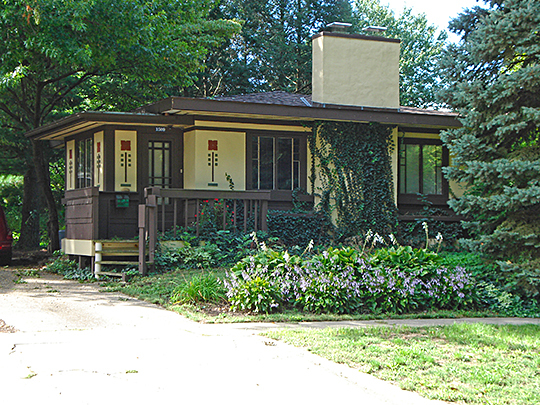 1925, 1509 West Park Avenue, Champaign, IL. This home was built based on home plans by Charles Saxby Elwood included in the February 1924 edition of Fruit, Garden and Home Magazine. Listed on National Register of Historic Places in 2011. Photographed by user:Esvobod2, 2006, (own work) [cc-by-3.0 (creativecommons.org/licenses/by/3.0)], via Wikimedia Commons, accessed April, 2013. The Champaign County Courthouse is located at 101 East Main Street, Urbana, IL 61801; phone: 217-384-3772. County administrative offices are located at 1776 East Washington Street, Urbana, IL 61802; phone: 217-384-3776.